May – Première of the Merchant Ivory Productions film The Europeans , with a screenplay by Ruth Prawer Jhabvala, based on Henry James' novel The Europeans (1878). Merchant Ivory Productions is a film company founded in 1961 by producer Ismail Merchant and director James Ivory. Their films were for the most part produced by Merchant, directed by Ivory, and 23 were scripted by Ruth Prawer Jhabvala in some capacity, all but two of those with solo credit. The films were often based upon novels or short stories, particularly the work of Henry James, E. M. Forster, and two novels by Jhabvala herself. The Europeans is a 1979 British Merchant Ivory film, directed by James Ivory, produced by Ismail Merchant, and with a screenplay by Ruth Prawer Jhabvala, based on Henry James's novel The Europeans. Ruth Prawer Jhabvala, was a German-born British and American Booker prize-winning novelist, short story writer and two-time Academy Award-winning screenwriter. She is perhaps best known for her long collaboration with Merchant Ivory Productions, made up of director James Ivory and producer Ismail Merchant. 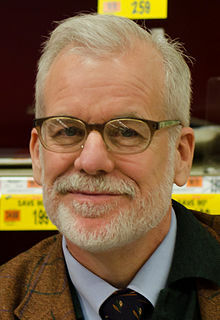 Chris Van Allsburg is an American illustrator and writer of children's books. He has won two Caldecott Medals for U.S. picture book illustration, for Jumanji (1981) and The Polar Express (1985), both of which he also wrote; both were later adapted as successful motion pictures. He was also a Caldecott runner-up in 1980 for The Garden of Abdul Gasazi. For his contribution as a children's illustrator he was 1986 U.S. nominee for the biennial, international Hans Christian Andersen Award, the highest international recognition for creators of children's books. He received the honorary degree of Doctor of Humane Letters from the University of Michigan in April 2012. The Garden of Abdul Gasazi (ISBN 0-395-27804-X) is a best-selling children's picture book written in 1979 by the American author Chris Van Allsburg. The Garden of Abdul Gasazi was the first book written by Van Allsburg, for which he won a Caldecott Honor in 1980. Arthur Murray Blythe was an American jazz alto saxophonist and composer. He was described by critic Chris Kelsey as displaying "one of the most easily recognizable alto sax sounds in jazz, big and round, with a fast, wide vibrato and an aggressive, precise manner of phrasing" and furthermore as straddling the avant garde and traditionalist jazz, often with bands featuring unusual instrumentation. Caryl Churchill is a British playwright known for dramatising the abuses of power, for her use of non-naturalistic techniques, and for her exploration of sexual politics and feminist themes. Alison Adburgham was an English journalist, author and social historian. She is best known for her work as fashion editor of The Guardian newspaper, a position she held for 20 years. Along with Prudence Glynn of The Times and Alison Settle of The Observer, she was a pioneer of British fashion journalism within the context of a broadsheet national newspaper; as a bylined columnist, she had influence on public perception of trends in clothing, as well as on the industry itself. Life on Earth: A Natural History by David Attenborough is a British television natural history series made by the BBC in association with Warner Bros. and Reiner Moritz Productions. It was transmitted in the UK from 16 January 1979. Benjamin S. Lerner is an American poet, novelist, essayist, and critic. He has been a Fulbright Scholar, a finalist for the National Book Award, a Howard Foundation Fellow, a Guggenheim Fellow, and he is currently a MacArthur Fellow. In 2011 he won the "Preis der Stadt Münster für internationale Poesie", making him the first American to receive this honor. Lerner teaches at Brooklyn College, where he was named a Distinguished Professor of English in 2016. February 10 is the 41st day of the year in the Gregorian calendar. There are 324 days remaining until the end of the year. This article presents lists of the literary events and publications in 1994. This article presents lists of the literary events and publications in 1993. This article presents lists of the literary events and publications in 1985. This article presents lists of the literary events and publications in 1984. This article presents lists of the literary events and publications in 1983. This article presents lists of the literary events and publications in 1982. This article presents a list of the literary events and publications in 1974. This article presents lists of the literary events and publications in 1973. This article presents lists of the literary events and publications in 1972. This article presents lists of the literary events and publications in 1969. This article presents lists of the literary events and publications in 1968. Vonda Neel McIntyre is an American science fiction author. ↑ Grimes, William (2011-06-20). 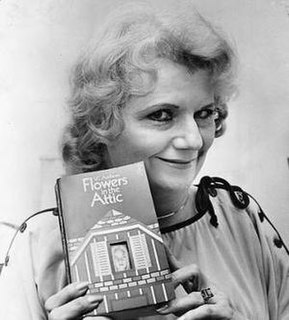 "A. Whitney Ellsworth, First Publisher of New York Review, Dies at 75". The New York Times . Retrieved 2011-06-20.